Are you looking for a lot with more space than your average Fairbanks 2 acre patch? Above the ice fog and close to town, this wooded 5 acre lot is ready for you. This gentle-sloping lot will not need one of those scary winter driveways. 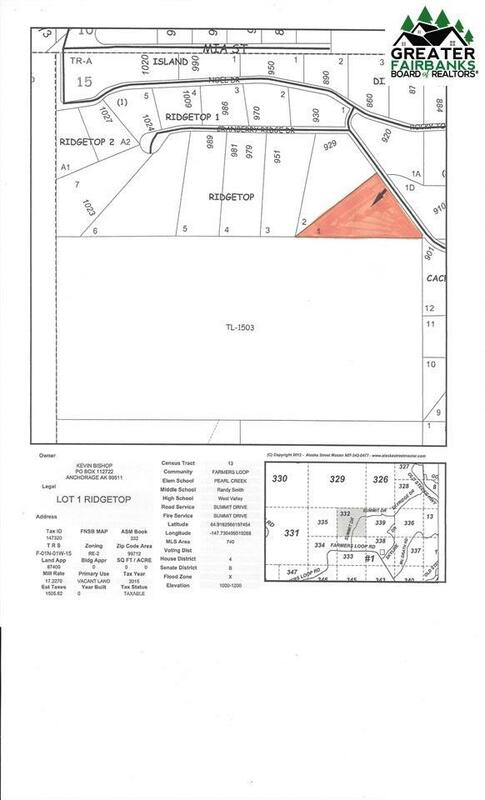 Located above Farmer's Loop Road on Cranberry Ridge Road, this south facing lot was our dream and now can be yours. Utilities already at the edge of the lot.